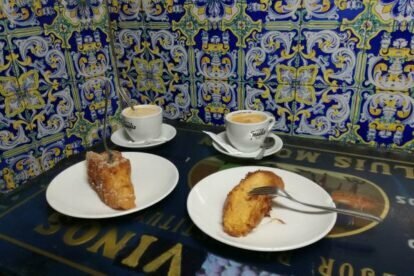 There are two basic things that you need to know about Spain: one is the meaning of “merienda” and the other what a “torrija” is. Merienda is usually a sweet snack combined with coffee or tea that takes place in the late afternoon. Basically is a light meal between lunch and dinner. And torrija is a piece of bread soaked in milk or sweet wine, fried and sprinkled with honey or sugar and cinnamon, eaten in Spain especially during Holy Week. Basically it’s a fatter French toast. For me, one of the most frustrating things in the world was that this delicious dessert was only available for a very short period of time. That’s why when I discovered the existence of La Casa de las Torrijas I was in awe. Torrijas anytime of the year! What a dream come true! This traditional tavern was founded in 1907 and has kept its decoration as if time had not passed. You can go for lunch, merienda or dinner, as they not only serve very different types of torrijas but also traditional Spanish food and drinks.